NEW October 31 Training Cancelled! Due to Halloween, the Wednesday, October 31 Training Night is cancelled. NOTE: Gliding site is NOT at the airport. Please follow these directions. Biathlon Practice with be Thursday, 1830-2000hrs at Percy Perry Stadium. Meet at the stadium bleachers in appropriate PT gear(gym strip). Bring a water bottle. Marksmanship practice is from 1600-1800hrs this Sunday at Port Coquitlam & District Hunting & Fishing Club. New cadets or cadets that didn’t sign up are welcome to come. 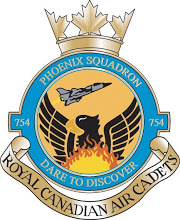 Senior Ground school will be meeting at the squadron on Tuesday from 1900-2100hrs. Complete application form found here and submit to the office.